Bellarive, a Christian pop rock worship band from Orlando, Fla., will perform at IGNITE 2016. Photo provided. When Sean Curran first moved to Orlando, Fla., he didn’t realize a bigger story was unfolding. In a sense, the move not only changed the course of his life but ignited a movement. His band, Bellarive, a pop rock worship group that originated in 2009 through the University of Central Florida’s student ministry, will join other nationally acclaimed Christian artists and speakers at this year’s IGNITE conference in Wildwood. Curran, a freshmen at the time, involved himself in church and became a worship pastor. Soon, others joined him to create the band. “We met in the midst of God doing something very profound in our community,” said Curran. “The breath of God was bringing life and hope into our church family in an unforgettable way. Eyes were being opened and hearts awakened.” For Curran, Melissa and Mike Mage, Zach Glotffelty, Josh Luker, and Kenny Werner, their response was simple and unplanned; they began to write and sing about what was happening in the life of their church community. The musicians spent every day at Curran’s house, which had become their official gathering place to seek God and make sense of what He was stirring. The days were filled with prayers and songs, and soon they became one in the same. “None of us knew how to say it or what it meant, but we liked it,” he said. The name began to take on a meaning of its own, becoming the word for how the artists saw God moving in their lives. To Curran, the word took on the definition of God in motion and the belief that music was by design, a powerful and tangible space to engage with Him. “It’s the realization that we’re fickle beings prone to wander and wade in the shallows, but God has designed us to swim in the deep,” said Curran. “His grace makes it so.” Experiencing God and seeing Him move became what Curran says is the “DNA” of the band. The church’s unprecedented response to Bellarive’s songs led the band to record their music so people would have an opportunity to worship outside of a church service. 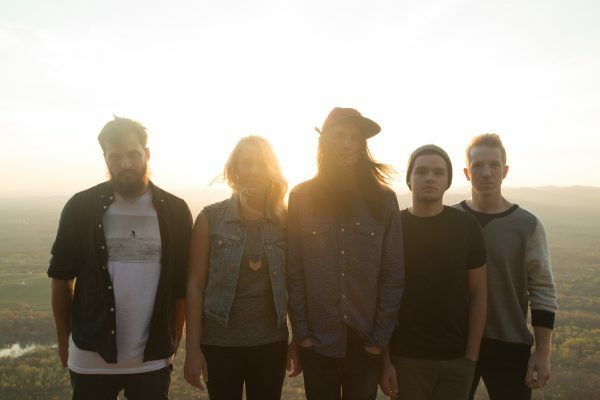 After one self-released EP, Bellarive signed to Sparrow Records in May 2012, and released their debut studio album, The Heartbeat, in June 2012. The new album peaked on the Billboard Christian Albums chart at No. 21 and the Heatseekers Albums chart at No. 17. IGNITE’s theme of “Let There Be Light” was lifted from the first song of Bellarive’s second and most recent studio album, Before There Was, which was released in July 2014. The band members are still in shock and struggling to process the tragic events that unfolded last month in the group’s hometown of Orlando when an act of terrorism took 49 lives at the Pulse nightclub. “God meets us through songs and worship. We believe God is listening,” said Curran, who says he’ll be coming to IGNITE with an expectant heart and encourages both youth and leaders to do the same. “No matter where you’re at in the spectrum, there’s room for us to leave never the same,” he said.